U.S. Federally Inspected (FI) cow slaughter cow slaughter has been running above a year ago, with both beef and dairy components increasing. Year-to-date (through the week ending April 13th), daily average FI cow slaughter was up 7% from a year ago with beef and dairy cow components up 10% and 5%, respectively. Nationally, cow slaughter levels are expected to remain above 2017’s until midsummer, and maybe longer. Even with increased harvest levels, the Cutter cow cutout value has been above 2017’s. That wholesale carcass equivalent value is calculated weekly by USDA’s Agricultural Marketing Service (AMS). Typically, the wholesale value would increase seasonally, brought on by higher demand for ground beef. However, that wholesale value has been flat all year and has had a limiting effect on cull cow prices. USDA-AMS, under the mandatory livestock reporting program, compiles from packers a national weekly direct cow and bull report on negotiated dressed prices (delivered to plant), it also contains a regional breakdown. The national average cull cow price so far this year has been below 2017’s. Yearto-date (16-weeks), the average heavy carcass (500-pounds and heavier) price has been $125.66 per cwt., that is down $3.83 (3.0%) from a year earlier. The price of lighter carcasses (400- to-500-pound) also has declined, slipping $4.19 per cwt. (-3.3%). Imports of slaughter cows, too, have been below a year ago contributing to this puzzle. Regionally, for 500-pound and heavier carcasses, the South Central states (TX, OK, NE, KS, and CO) so far this year averaged 3.8% below 2017’s. In the eastern 26 states, which are reported as a category by AMS (from Vermont to Florida to Indiana), prices declined 5.3%. The north central region (NE, WY, MT, SD, and ND) this year’s price averaged down 2.3%, while the Midwest (MO, IA, MN, WI, IL) slipped 6.4%. In one region, slaughter cow prices have been higher year-over-year; that is the west (AZ, NV, UT, CA, ID, OR, and WA) where the rise was 6.9%. In May 2017, CS Beef completed construction and began operations of their new state-of-the-art packing plant. Clearly, competition for animals in that region has increased cull cow prices. 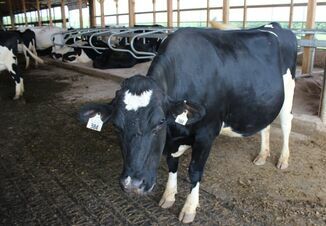 There are two keys to cull cow prices for the balance of this year; both are supply-related. 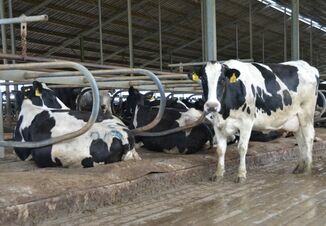 First, low milk price is persisting and could increase slaughter even more than expected. 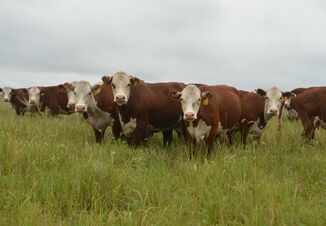 Of course, drought conditions could expand this summer, causing more beef cows to be culled earlier than normal.